FIFA's corruption scandal has cast its shadow over the Clintons. It has emerged that the Clinton Foundation received at least $50,000 and as much as $100,000 from the football governing body. The Qatar 2022 Supreme Committee, in charge of the country's successful World Cup bid, also gave the organization between $250,000 and $500,000; Qatar itself donated between $1 million and $5 million. The Clinton Foundation disclosed the donations on their website, adding that the Supreme Committee's money was for “research and development for sustainable infrastructure at the 2022 FIFA World Cup to improve food security in Qatar, the Middle East, and other arid and water-stressed regions throughout the world.” It is unclear what FIFA's donation was for. FIFA officials were arrested at a five-star Swiss hotel Wednesday and taken out in handcuffs as part of an FBI probe into kick-backs and bribes in the sport. 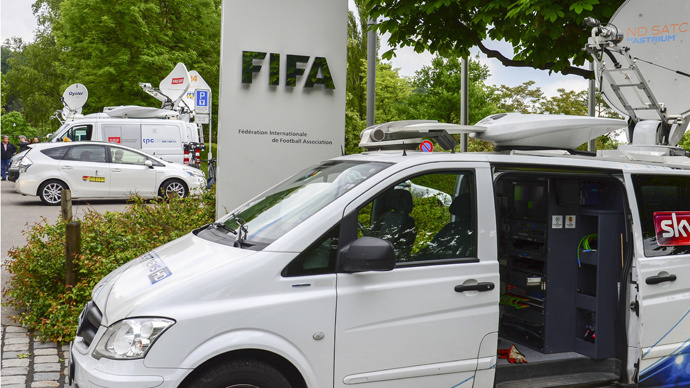 The US Department of Justice also announced charges against nine FIFA officials and five other corporate executives on allegations of racketeering, money laundering and wire fraud. The Clinton Foundation has not yet commented on the FIFA donation, or whether any of the money will be returned. Bill Clinton was also honorary chairman for the US committee which lost the bid to host the 2022 World Cup. He reportedly shattered a mirror after the bid went to Qatar.